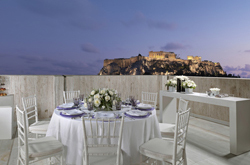 NJV Athens Plaza, one of the most luxurious downtown Athens hotels, enjoys the magical view of the Acropolis and has the undisputable advantage of the ideal location. 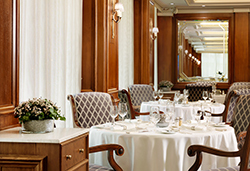 Being just a breath away from the biggest commercial streets of Athens, the historical district and from banks, businesses, museums, cultural centers, restaurants, bars and clubs this luxurious Athens center hotel will become your favorite getaway, whether you are in town for business or leisure. Additionally, within seconds you can hop on a bus, trolley, the metro or the tram and reach every neighborhood and suburb of the city. 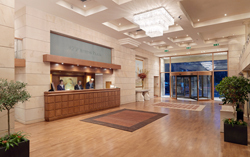 NJV Athens Plaza features 162 spacious, bright and fully equipped double and single guestrooms allocated on all floors and divided into the following categories, based on their amenities: Classic, Superior and Deluxe. 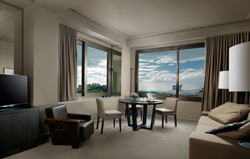 NJV Athens Plaza features among the most luxurious suites of the Greek capital. 18 spacious and fully equipped, elegant suites, with all the amenities and services that someone is expecting from a luxury hotel: incomparable hospitality of higher standards, unique customer service and true comfort. The suites are divided into the following categories based on their amenities: Junior, Executive, Deluxe and Presidential. 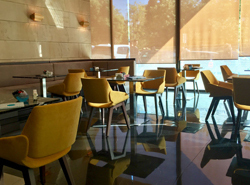 In the hotel's lobby, visitors will find an elegant, totally renovated venue, the Plaza Cafe, a breath away from Syntagma square and the Parliament, serving coffee varieties, tea, refreshments and light snacks. Right next to the reception there is a dedicated area for luggage storage and 2 elevators for guests. 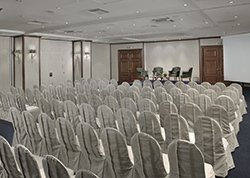 The hotel also features fully equipped multifunctional halls with a capacity for 350 people, with flexible layouts for meetings, conferences, social and corporate events, receptions, parties, as well as a spectacular, fully refurbished, Mediterranean cuisine restaurant, The Parliament and an impressive British style bar, The Explorer's. 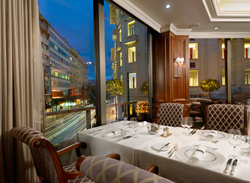 All the services and amenities of the luxurious hotel NJV Athens Plaza in the capital of Greece are carefully designed and based on the long year experience of the people working there, since its personnel knows how to provide excellent customer service. For this exact reason, whether you are in town for business or pleasure, NJV Athens Plaza will offer everything you would expect from a luxury hotel and even more! 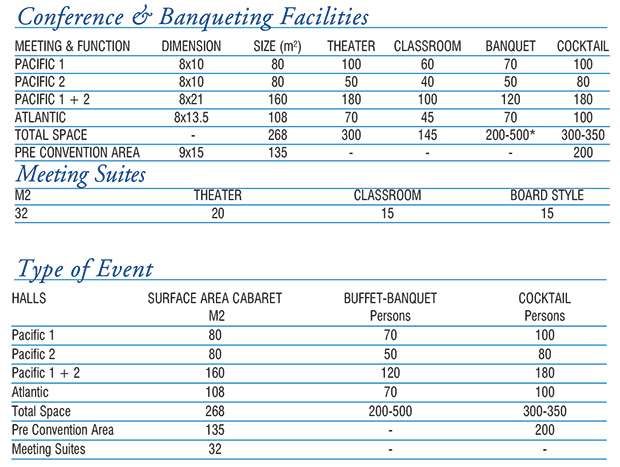 Conference halls, offering a usable area of 300 sq. meters, with flexible layouts and capacity for 350 persons. 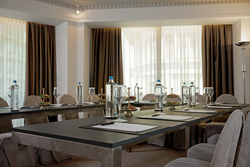 Whether you plan a conference, business meeting, product launch, seminar or dinner party, versatile function rooms - and specially designed suites – with state of the art audio-visual equipment are at your disposal. 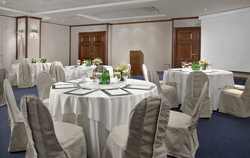 The experienced conference and banqueting personnel provides efficient service to satisfy even the most discerning guest and assures the success of any event. The technical assistance and equipment available at the hotel include podium, head table microphones, laser pointers, flip charts, overhead, slide and video data projectors, wide screen TV and VCR, while outside contractors make available a wide range of additional technical equipment.